Turkey has the 17th largest economy in the world with a GDP of $799.54 billion. Female participation in the labor market is only 29.4 percent compared to 70.8 percent for men. Only 39 percent of adult women have reached at least a secondary level of education compared to 60 percent of their male counterparts. Turkey now hosts more refugees than any other country in the world. As of June 2016, registered Syrian refugees in the country number at more than 2.7 million, making Turkey host to the highest number of Syrians in the region. More than 268,000 refugees reside in 26 camps, while the vast majority live within host communities. The Government has demonstrated high leadership and generosity in providing for their humanitarian needs, claiming to have invested $11 billion since the onset of the crisis. Turkey has implemented a temporary protection regime since June 2011, granting Syrians access to basic services such as health care and education. Turkey changed its Syria visa policy to curb illegal entries, while still maintaining an open-door policy. In October 2015, Turkey and the EU agreed on a Joint Action Plan to step up their cooperation on migration management in a coordinated effort to tackle the refugee crisis. The Regulation on the Work Permits for Syrians was passed in January 2016. 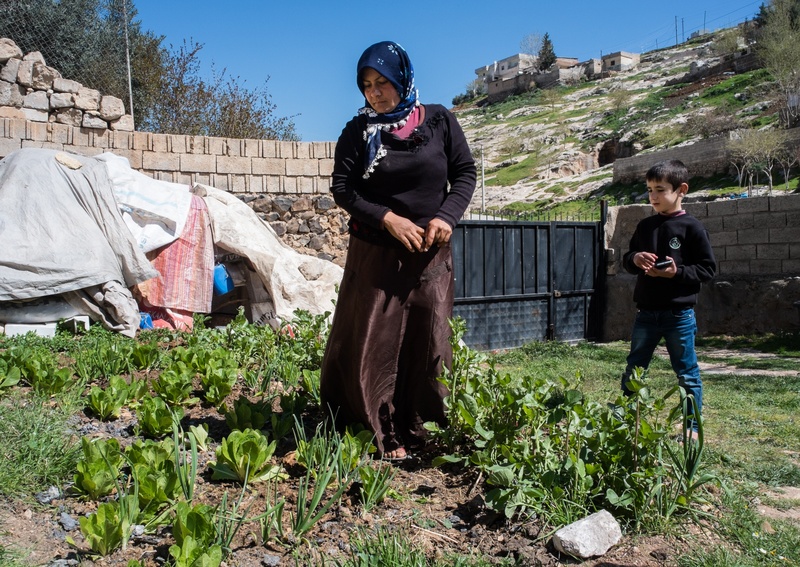 WFP has been present in Turkey since 2012, focused on providing food assistance to vulnerable Syrian refugees through an e-card program with the Turkish Red Crescent. Assisted populations can redeem their e-cards for nutritious food items at contracted supermarkets. WFP’s e-card program initially provided support to 12,000 Syrians in the Kilis camp in October 2012. Since then, the program has scaled up to reach 150,000 Syrians in eleven camps in southeast Turkey. Last year, the agency also began providing e-cards to Syrian refugees living outside of refugee camps. Right now WFP is working the Turkish Red Crescent, in coordination with the Government of Turkey, to assist 585,000 Syrians living in host communities by December 2016. In 2016, WFP is expanding its e-card program to assist up to 735,000 Syrians—50 percent of the total camp population and 25 percent of the off-camp population—depending on funding. These e-cards have been highly successful in terms of people’s satisfaction, efficient use of limited resources and investment into the Turkish economy. People assisted appreciate the flexibility of being able to purchase nutritious and diverse food of their own choosing. Economically, the program provides a high return on investment, allowing for savings of more than 70 percent in food assistance in comparison to the provision of hot meals. It also directly impacts local communities, as people use their rations in shops that are owned, managed and supplied by local retailers. So far, WFP has directly transferred more than $173.4 million through the e-card program. WFP has a standing history of large-scale procurement of commodities in Turkey to support its operations globally, including Syria and Iraq. Turkey is WFP’s top food commodity supplier with $1.2 billion worth of commodities since 2011. Almost 60 percent of these have been used for emergency food assistance within Syria and the region.